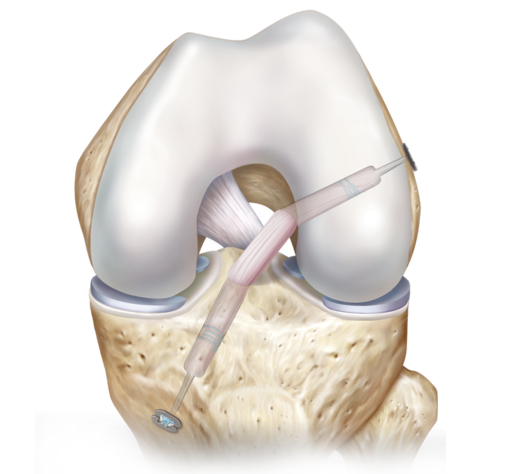 The GraftLink technique provides the ultimate in anatomic, minimally invasive and reproducible ACL reconstruction. Used in combination with anatomic guides, the FlipCutter® drill allows independent femoral and tibial retrodrilling to create sockets, while maintaining the cortices to maximize fixation. A single hamstring harvest reduces morbidity and preserves strength. Quadrupled graft construct consistently increases graft diameter. Two adjustable TightRope® implants allow continuous graft retensioning making the GraftLink technique one of the strongest and most reproducible techniques available.